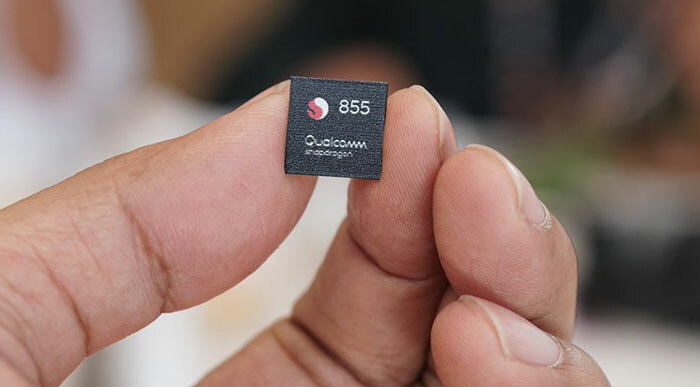 Qualcomm has launched its Snapdragon 855 platform during its three day Tech Summit in Hawaii. 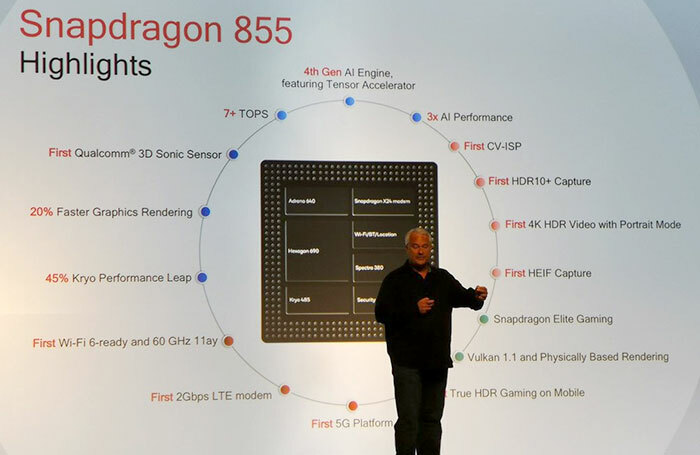 It teased some information about the processor on the first day of the Summit but on day two it followed through with a full press release and product page containing the tech specs of each of the key SoC components. 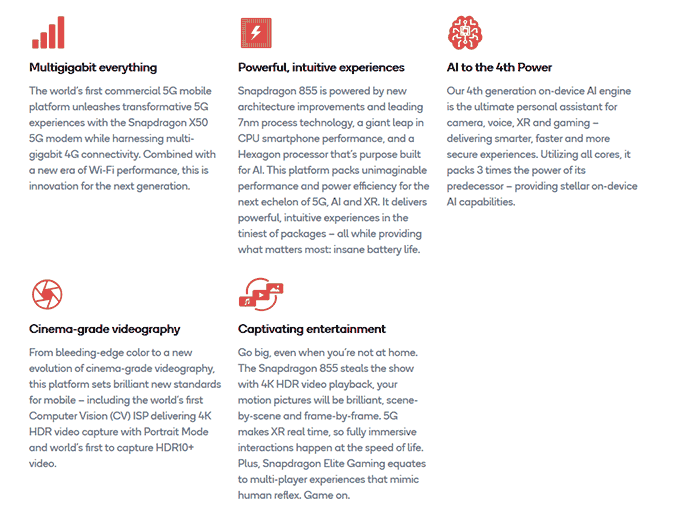 In its blog headline Qualcomm called out three major features delivered by the new SD855; 5G, AI, and XR. As well as that tasty trio there are several other aspects of the new chip worth highlighting. 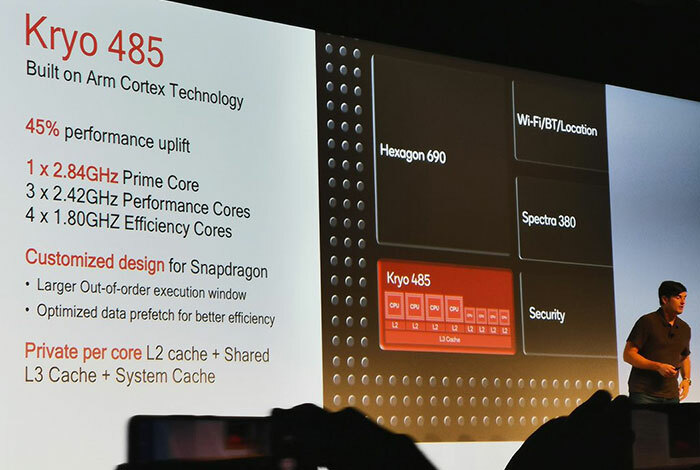 Firstly it is one of the first chips built on 7nm, and in previous generations its new Kryo 485 CPU, claimed to be 45 per cent faster than the Snapdragon 845 would get top billing. Furthermore, smartphone gamers may also be pleased with the new Adreno 640 GPU which can provide up to 20 per cent faster graphics. Qualcomm has also implements the first commercial ultrasonic fingerprint sensing solution for mobile, designed for under display use, and delivers the world's first announced computer vision image signal processor (CV-ISP) for improved imaging. As the first commercial 5G mobile platform, Qualcomm spent a lot of its time in Hawaii talking about the benefits of 5G and the importance of the SD855 to the industry. 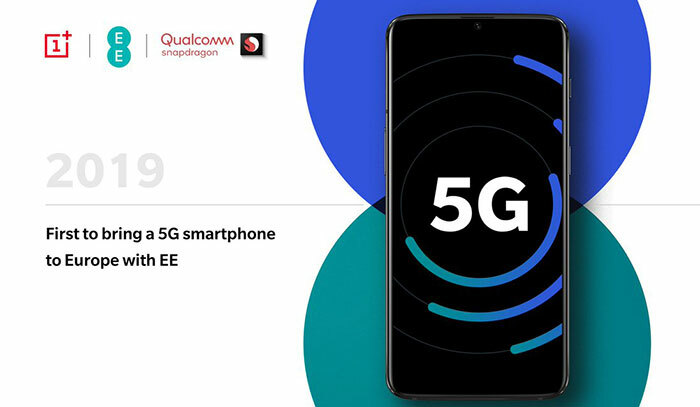 This SoC supports "5G NR mmWave and sub-6 GHz for blazing-fast responsiveness and unprecedented speeds," says Qualcomm. End users can expect "up to 20X gain in real-world speeds over 4G," says the chip designer. Already, with 4G, a third of the world has faster mobile connections than fixed broadband, so 5G is expected to make big waves. The built in X50 Modem is partnered with the X24 LTE modem (4G, 3G, and 2G), plus 2.4GHz, 5GHz, and 60GHz (802.11ay) Wi-Fi with a peak speed of 10Gbps. This 7nm SoC offers up to 45 per cent performance uplift over its previous generation flagship platform, featuring cores capable of up to 2.84GHz speeds. The Qualcomm Adreno 640 GPU offers 20 per cent faster graphics compared to the previous generation and offers Vulkan 1.1 support. Alongside these improvements, Qualcomm asserts that the new SoC will eat less battery due to its "striking improvement in efficiency". If you do find you are low on juice, Qualcomm Quick Charge 4+ technology is capable of charging from 0 to 50 per cent in as little as 15 minutes. Other key processing components in the SoC are the Hexagon 690 DSP, and the Spectra 380 CV-ISP (computer vision image signal processor). The former component now rolls-in a Vector Accelerator, Tensor Accelerator, Voice Assistant technology, and All-Ways Aware technology for AI functionality and image processing. Qualcomm the SD855 is 3x faster in AI than its predecessor. The firm's Spectra 380 CV-ISP delivers object classification and segmentation for enhanced photos and can capture 4K HDR with portrait mode at 60fps. It supports the HDR10+ format and at the same time reduces the power consumption for video shooting by up to 30 per cent. Playing back HDR10+ videos on YouTube, for example, uses much less power thanks to the built-in H.265 and VP9 decoders - that should improve entertainment viewing times on handsets. Lastly, Qualcomm crows about its wired and wireless audio quality, so SD855 handsets should be great multimedia and gaming all rounders. Plenty of mobile device makers will be releasing products based around the SD855 in the coming months. Already we know that the next OnePlus flagship will utilise the chip, and it is thought that the Samsung Galaxy S10, Sony Xperia XZ4 and LG G8 will follow suit. and even tho cheaper to make 7nm .. itwill still cost £3-400 more ..